Mendelssohn: Hebrides Overture "Fingal's Cave"
The Bryn Athyn Orchestra is a community orchestra, performing three concerts each season open to the public at the beautiful Mitchell Performing Arts Center in Bryn Athyn, Pennsylvania.The orchestra currently consists of approximately 50 dedicated musicians from the greater Philadelphia area and is under the baton of Dan Kujala. 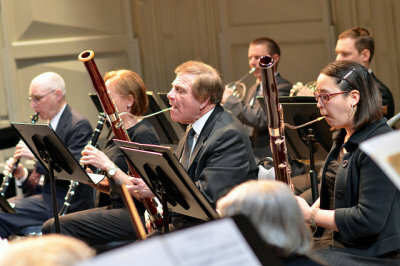 Mr. Kujala is a teacher, an active soloist, chamber musician and a section leader of the Warminster Symphony Orchestra. Music Director Daniel Kujala is in his thirteenth season conducting the Bryn Athyn Orchestra following three years as its principal cellist. He has a diverse musical background that spans a range from the symphony and opera to musical theater and commercial jingle recording. A native of Chicago, he studied cello with Margaret Evans and Frank Miller of the Chicago Symphony, and Karl Fruh at Roosevelt University's College of Performing Arts where he earned his bachelor's degree. He received additional instruction in orchestral conducting from Gordon Peters of the Chicago Symphony and Pier Giorgio Calabria at Roosevelt University. 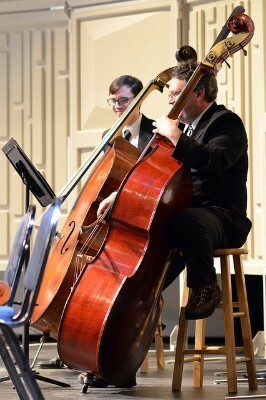 Mr. Kujala has served as principal cellist of the Cedar Rapids Symphony where he collaborated with pianist Emanuel Ax and baritone Simon Estes, was a frequent substitute performing and recording with the Chicago Symphony, and has appeared as a soloist with several Midwest orchestras. His many engagements with pop-artists have included tours with Burt Bacharach & Dionne Warwick, Paul Anka, and the Mantovani Orchestra. Theatrical highlights include appearances on stage accompanying Marilyn Horne in the Lyric Opera production of Handel's Orlando, and on screen with Sean Young in the PBS American Playhouse production of Under the Biltmore Clock. 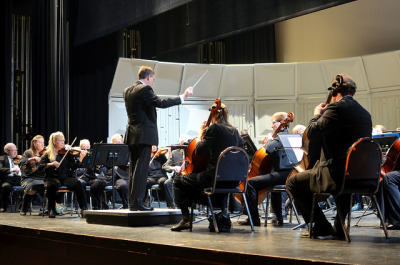 A resident of Abington, local audiences have heard him in chamber music concerts and as a soloist performing the Dvorak Cello Concerto and Beethoven Triple Concerto with the Ambler Symphony, and the Haydn Cello Concerto in D with the Bryn Athyn Orchestra. He has also performed Bloch's Schelomo, the Elgar Cello Concerto and Richard Strauss' Don Quixote with the Orchestra Society of Philadelphia. 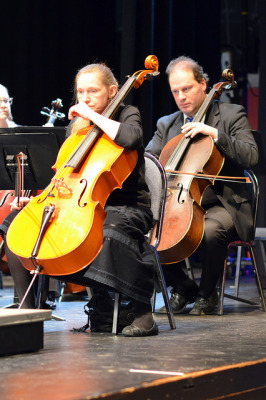 In addition to freelance activities throughout the Delaware Valley, he serves as principal cellist of the Warminster Symphony. 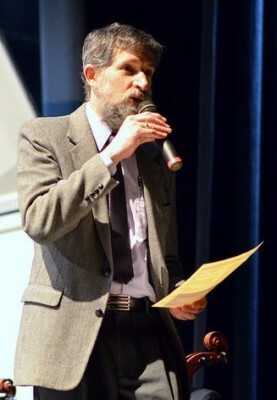 Mr. Kujala holds a master's degree in education from Arcadia University. He was formerly an adjunct instructor at William Rainey Harper College and now, in addition to his private teaching and solo performances, is a public school instructor. 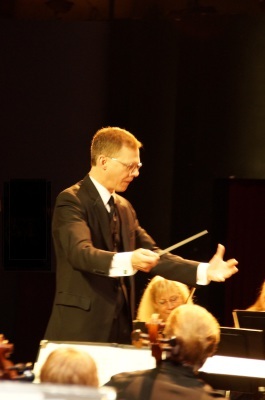 He has directed orchestras and string programs in the Central Bucks School District and is currently on the faculty at Souderton Area High School where he conducts the symphony orchestra and chamber ensembles. Concertmaster Valerie Levicoff, a native of Philadelphia, began playing the violin at at age six, taking private lessons from Philadelphia Orchestra violinist Joseph Lannza and, later, from Jober, Julia, and William dePasquale, also Philadelphia Orchestra musicians. She earned a Bachelor of Arts Degree in Violin Performance from The Philadelphia College of Performing Arts and a Master of Arts Degree in Education from LaSalle University. She currently performs with Reading Symphony, Warminster Symphony, and Bryn Athyn Orchestras as a principal player in each. She is very active in teaching and is an Adjunct Professor of Music at Arcadia University. Ms. Levicoff was selected for Marquis’ Who’sWho of American Women (2007 edition). She enjoys sharing her love for music and playing music. She also enjoys reading and traveling. Ms. Levicoff resides with her two children, Alexander and Edward, and husband Jerry in Dresher. Her “dream come true” would be to have actor Kevin Sorbo from the Hercules television series in the audience to enjoy one of her concerts!